I AM CURRENTLY getting ready to embark on my seventh lengthy trip to India. I remember well my first trip, back in 2005, and the months of research, shopping, packing trials and other preparations. But now, getting ready to go is part routine and part ritual, and I have it down almost to a science. If you are preparing to go on a long-term trip, especially for the first time, I hope you will find my story and my tips useful. 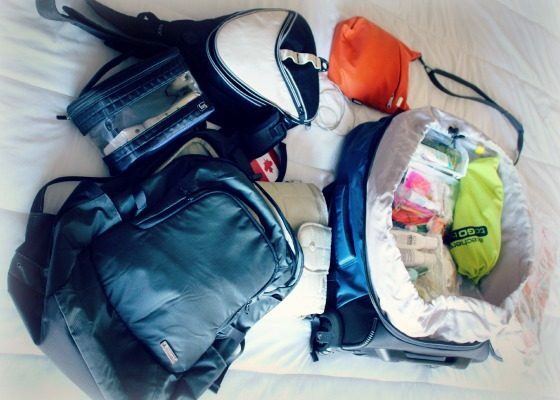 Over the years, I’ve learned a lot about what to take, how to pack, and how to prepare for travel. TIMING: Start getting your vaccines three months before you depart. Your passport and any Visas you may need are your most important travel documents. Research what you need well in advance. It can take a few weeks to get a new passport (you may need a new one if yours is expiring within six months of departure) and a few weeks more to get Visas. When your passport is ready and Visas are done, make some photocopies and get the important pages scanned. Carry some copies with you and leave a copy at home with a trusted friend/relative. TIMING: Start getting your passport and Visas in order at least two-three months before leaving. When I first went to India I brought one mid-sized suitcase and one backpack. I just wasn’t sure which way to go. Over the years, I have experimented a lot, and I now have a system. For trips of one month or less, I go carry on only — and I wrote about how I do this in How I finally learned to travel light. My 4-piece Pacsafe set all ready for packing. For a big trip like the one ahead of me now — I’ll be in India and Sri Lanka for at least four months — I am taking one big suitcase plus my two carry-on pieces (a carry-on suitcase on wheels and an electronics backpack), plus a purse, all from Pacsafe. As I have a base in Delhi, I am going to leave the big suitcase there, and when I go on trips around the country, I’ll bring my two carry-on pieces. I also have my original MEC backpack stored in India, and I can use it if I’m going trekking or decide I want to take a backpack. I am choosing suitcases more than backpacks these days because they are smaller and more portable; because my back is not as strong as it used to be; and because I don’t always want to be seen as a “backpacker” in India. Unfortunately, there are places where backpackers have a bad name. TIMING: It’s never too soon to start researching your luggage. Ask around, read travel blogs, read online reviews and go to some larger luggage and outdoor supplies stores — like MEC in Canada — to try out various options. I would want this decision made at least a month before departure. P.S. If you do decide to buy a backpack, read Wild by Cheryl Strayed. She went on a summer-long hiking trip without pre-packing her backpack and walking around with it before leaving. At the trail head, she couldn’t lift it off the ground. 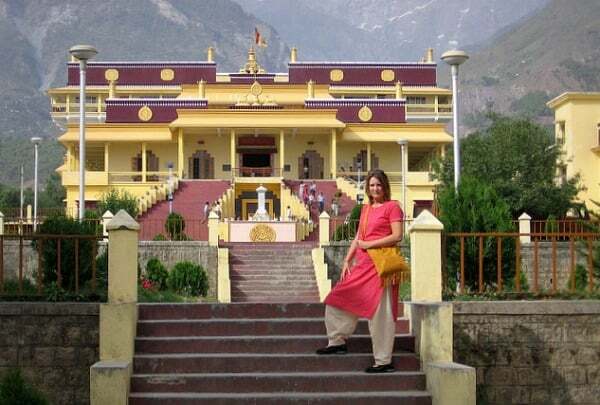 When I first went to India, I had never been on a long-term trip, and never to anywhere like India. Unfortunately, a visit to the travel medical clinic scared me into worrying about all kinds of potential disasters, and I arrived in Delhi with half-a-suitcase of medical supplies including my own syringes. My hosts, an Indian family, laughed. It was as if I was going into the deepest darkest jungle — instead of a sophisticated city with state-of-the-art modern medical clinics. Now, I have pared that bag down considerably. I have come to realize that not only can I get almost everything I need in India, but it will be cheaper and more suited to the conditions there. Antibiotics, for example: I used to carry Cipro, but Indian doctors tell me there are other antibiotics more suited to the germs you can pick up in India. 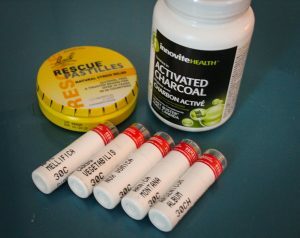 So, I don’t carry any antibiotics, and just buy what I need, when I need it. About four-six weeks before for a long-term trip, I start going through a checklist of things I need to order. Contact lenses figure prominently on the list. I have tried various options for ordering, but always come back to Vision Pros for two reasons. One, the prices are the best I’ve found. And two, you cannot beat their customer service. About three years ago when I was getting ready to go, I made the mistake of calling a different online contact lens company. My lenses never arrived — it turns out the entire company went on vacation! So I called Vision Pros and they rushed my lenses to me with only days to spare before my departure. I always buy single-use lenses, and carry as many as I need for the entire trip, plus a week or two of spares. I also carry my prescription with me, both for contacts and glasses, in case I need to buy them on the road. This year I’m trying a new product called Live Leaf. I can’t recommend it as I haven’t used it, but I will let you know. It’s a natural product that prevents and treats traveler’s diarrhea. TIMING: I start buying the remedies I think I’ll need, depending on where I’m going, and ordering my contact lenses about three-four weeks before my trip. Visit your optometrist to get an up-to-date prescription anytime before departure. If you’re a blogger, like me, or have any other business you want people to know about; or if you just want to stay in touch with people on the road, carry business cards. You will be glad you have them. I always use Vista Print and I upload my own design, based on my Breathedreamgo logo. But Vista Print — and other similar online companies — has lots of templates to choose from. As I don’t yet know what my phone number will be in India, I leave a space to write it in, and order matte (not glossy) cards. TIMING: To get the best price when you order online, it helps to give yourself lots of time so you don’t have to pay for shipping. I would order my business cards about a month ahead of time. Shoes are all-important. They can make or break your trip. The first time I went to India, I bought inexpensive clothes and luggage but I splurged on my shoes. I bought a pair of Mephisto All-Rounders. I have never spent so much on shoes in my life and I have never regret it for a moment. I am STILL using those shoes nine years later. They have been all over India and elsewhere. 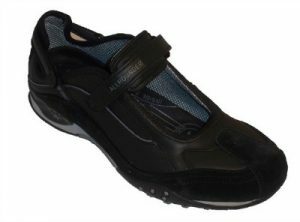 They are ideal light hikers, very cool and very comfortable. I am just now having the velcro fasteners replaced, otherwise they are almost as good as new. TIMING: I buy all of my sensible shoes in Canada. I just haven’t found anything in India that competes with the top quality walking shoes I can get at Walking on a Cloud in Canada from brands like Mephisto, Think! and Rieker. Needless to say, you need to wear them and break them in before you leave. Another thing I would do well in advance. In fact, if you time it right, you can get great shoes on sale as your travel will free you from seasonal purchases. I always do a trial pack about a week (or even two) before my big trip. This way, I make sure everything fits, and if I am missing anything, it will become obvious. For me, this trial pack is a ritual of long-term travel and I enjoy it immensely. As well as making me feel calm about not forgetting something important and not being able to close my suitcase 10 minutes before I have to leave for the airport, it gives me that extremely pleasant feeling of travel anticipation. TIMING: I do the trial pack one-two weeks before departure. 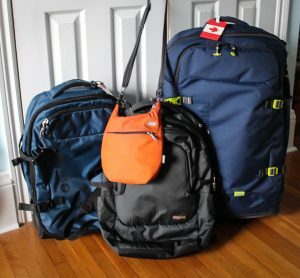 I could write several more lengthy blogs about getting ready for long term travel. One would definitely be about saving, budget and money on the road; another would be about attitude, and approaching your trip as a “quest.” These tips are just a few to think about, things that have become part of my ingrained pre-trip routine. All of the companies, brands and products I recommend in this blog post and throughout Breathedreamgo are personally vetted by me. I don’t write about anything I don’t experience and recommend. My heart is (always) on my sleeve. However, in the interests of transparency, I have been given luggage by Pacsafe and contact lenses by Vision Pros. This consideration in no way influences me. 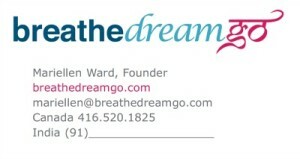 I loved these companies before they kindly decided to support Breathedreamgo. Thank you Pacsafe and Vision Pros. Everyone needs to know about superior companies and services, and they deserve support too. Happy trails!